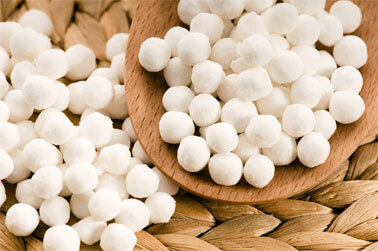 Tapioca starch helps bind gluten free recipes and improves the texture of baked goods. Tapioca helps add crispness to crusts and chew to baked goods. Tapioca starch is extremely smooth, which makes it a great thickener in sauces, pies and soups since it never discolors and contains no discernible taste or smell. It can also be used to replace corn starch (use 2 Tbsp tapioca starch for each 1 Tbsp corn starch). Moreover, it never coagulates or separates when refrigerated or frozen.